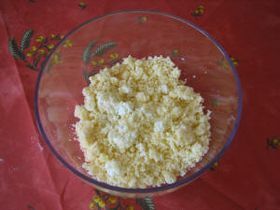 Cuñapes are specialties from eastern Bolivia and Brazil. 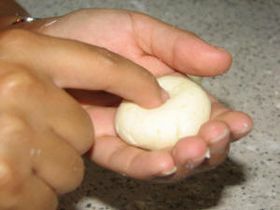 The origin of the word probably comes from the Guarani language: "Cuña" (woman) and "pé" (breast) due to the round and evocative shape of these small breads. 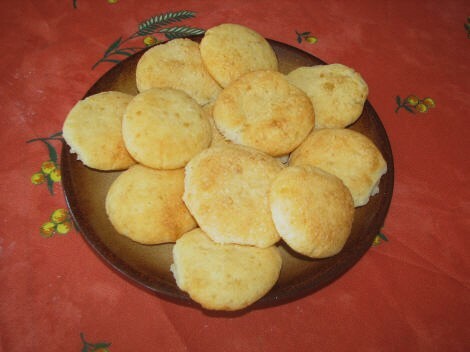 Cuñapes are called Pao de Queijo (cheese bread) in Brazil. In a bowl, cut and crush the cheese into very fine pieces. 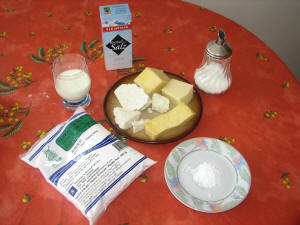 Add Yucca starch, sugar, baking powder, baking soda and salt (do not salt too much if the cheese is already salted). 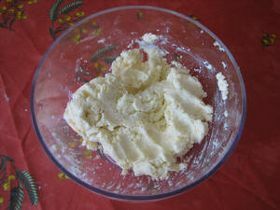 Gradually mix in the milk until dough is soft. 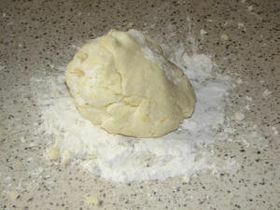 Place dough on a surface covered of Yucca starch, and firmly knead until no more lumps. 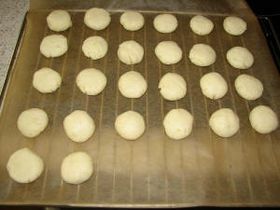 Prepare small balls of 4cm diameter and 2.5cm high. With the index finger, make a small hole in each pellets. Arrange the balls on a baking sheet covered with greaseproof paper, ensuring that the small holes are on the bottom of the biscuit. Preheat the oven to 200oC. Bake rolls for 15-20 minutes, until slightly golden cuñapes.